View of Yumoto (湯本) at Hakone village in Kanagawa Prefecture. 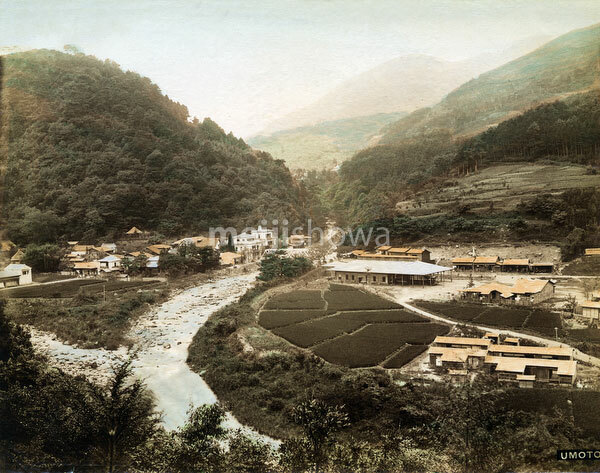 Yumoto Station, in the center, was built in 1888 (Meiji 21). Asahibashi bridge (旭日橋), partly visible behind the trees in the center, was moved upstream in 1893 (Meiji 26). This conveniently dates this image to between 1888 and 1893.